sandwiches come with mustard, mayonnaise, lettuce, onion, tomatoes. your choice of french roll, wheat, sliced rye or sliced sour dough. pastrami on french roll, thousand island dressing, spicy brown mustard, sauerkraut and swiss chesse. roast beef, french roll with chipotle sauce, lettuce, tomato, jalapeno, pepper jack cheese. chicken breast‏ on french roll with ranch, lettuce, tomato and jack chesse. chicken breast dipped in b.b.q sauce with mayonnaise, tomato, lettuce on french roll. chicken breast dipped in buffalo sauce on french roll with mayonnaise, tomato, lettuce and pepper jack chesse. grilled chicken‏ breast on french roll with ranch, lettuce, tomato, jack cheese and bacon. sandwiches come with mustard, mayonnaise, lettuce, onion, tomatoes. your choice of french roll, wheat or rye. mortadella, salami, pepperoni, with provolone chesse. 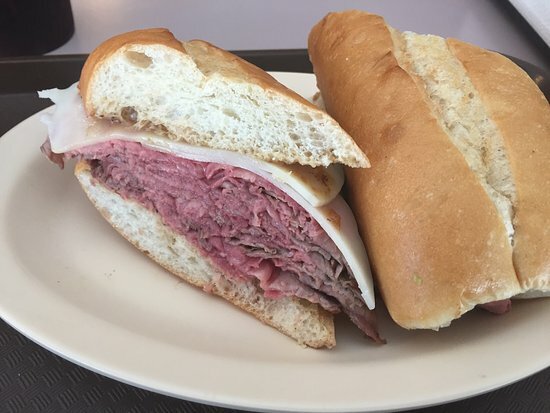 cold roast beef, honey ham, salami with provolone chesse. honey ham, smoked turkey, salami with provolone cheese. hot coppa, pepperoni, mortdaella, with provolone cheese. cold beef, honey ham, smoked turkey with provolone cheese. Pile the Meat High My Friend! Nothing fancy. Just good food served quickly. Convenient downtown location. Don't be overwhelmed if there is a line - they get through it fast. Great variety of sandwiches and sides served fresh. 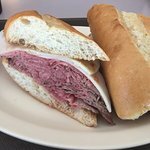 Best pastrami downtown. Large sandwiches and ample servings Very basic decor - or no decor beyond tables and chairs. BUT, good food. Get quick answers from Bud's Buffet staff and past visitors.